Gather with us by clicking the Comment link at the beginning of the post and leaving your comment or prayer on this verse. Rejoice always, pray continually, give thanks in all circumstances; for this is God's will for you in Christ Jesus. I Thessalonians 5:16-18. Of course God wants me to have what will make me happy. Those words crossed my mind in a flash. My eye, like Eve's was on the apple and Satan was saying, "Do it; it feels good. God wants you to be happy." This was a reality check about coffee. People, coffee. I have ongoing discourses with Satan about stopping coffee. (Drinking coffee is fine. I just have a little bit of an addiction issue that God is working on when it comes to me and coffee). If Satan is going to tell me lies about coffee - you know he's got some whoppers for other issues. Or, maybe they aren't whoppers. Perhaps Satan works best in the small things. The seemingly innocent day-to-day events where we make choices. They aren't bad or illegal. But, still individual choices that don't honor God. I think we've all been caught on a "path" called a "slippery slope." Once you start down a path that's a little off course it gets harder and harder to recover. Subsequent decisions just keep you sliding down that slope. I've been on a few slippery slopes - literally. If you don't have traction or something to cling to, you will start to fall. As a hiker, I know I need boots with rugged grooves on the bottom to get traction on a slippery slope. I even need trekking poles to put out in front of each step to guide my path. I use these tools to navigate the less than ideal path. When I start down the slippery slope of thinking, "It will make me happy; of course God wants me to be happy." I need to find my spiritual hiking boots and trekking poles and change course. My spiritual traction comes from God's word. I've got to get a grip on God or I'll be tumbling head first down that slope. God gives us tools to avoid that slope or change course if we've started sliding. We're to treasure His word in our hearts. At first I thought that verse was only about scripture memory. It's about so much more. Friends, we need to marinate in God's word. We need to soak it in and taste it. Yes, taste it. Roll it around in your mouth, breathe deeply the aroma of God's goodness. Have a chat window open to God at all times. Pray continually. This is sometimes harder for me than soaking up His words. Satan seems to always be pinging me for a conversation (and my inner voice seems to chat it up with him). As soon as you recognize you are on that slippery slope, stop and grab God. God is your traction. Keep the line of communication open at all times. Pray and listen to God's response. He will always provide a way out, over or thru the obstacle you are facing. Ask God to help you recognize your slippery slopes. Marinate on a verse from the Dig Deeper section and write out the verse in your own words. Dear Father, You know I'm human and I have human cravings and desires. Desires for things that may not be bad, but perhaps are not the best choice for me today. Give me the awareness to avoid ever stepping foot on a path the takes me away from you. If I am already on that slippery slope, help me to recognize it immediately and grab you for traction. Amen. P.S. As of the date of posting the author has been off caffeinated coffee for two weeks. She keeps having to begin again. Fortunately, no loved ones or co-workers have been injured in the withdrawal. This post is part of the "A Little R & R Wednesday Link Up." And, we joined Kendra at A Proverbs 31 Wife. Pray without ceasing. My eyes glide over those three little words and swoosh I am standing on my granny's steps to her back door. Eekeekeek! The screen door drew back and there stood my Granny. Her strong arms reached out to draw me into her rotund build while she uttered, "I've been so hungry to see ya'!" Smells of smoky bacon, spicy pinto beans, and sweet cornbread filled her kitchen. She was famous for her chocolate gravy which every grand kid adored. The rich, deep, luscious taste of cocoa on a buttered sweet biscuit was harmony in the mouth. The twinkle in her eye gave away to her ornery nature, and she loved to laugh. She escorted me over to sit on the treasured 1950's yellow step-stool chair where she regaled me with stories of meeting my grandpa who lived "just over the hill." She talked about how young they were when they got married. They had so little they lived in her in-law's barn their first year. She spoke of her children who she loved so dearly that each year for their birthday, she baked a quarter in their piece of cake. Mostly though she told of her faith and how it had been the constant in life that sustained her. She took me into her bedroom and showed me the rug that graced the wooden floor. She explained that was where she spent many hours kneeling in prayer. She told me how grandpa did not know Jesus when she married him, and how her boys followed in his wake. In desperation she prayed fervently for them. She said prayer is the key to a faith-filled life. I sit here overwhelmed with love for my granny that passed in 1992. You see, on that rug in a town so small the population was unknown, my legacy of faith began. It began because she prayed for my dad who was one of her boys that would later come to know Jesus. He would pass the torch of faith to me. A flame that would then also fall on my children. It reminds me that no prayer is too small or insignificant. God hears me when I pray. He brings to my memory people to pray over. He convicts me to confess, and He prompts me to praise Him every day. If not for my granny on that old worn rug, my kids might not know Christ at all. Prayer is the dining table of my faith where Jesus sits down with me. It's the place where I find hope for eternal answers to my deep spiritual questions. Do you pray for people you think of during the day? Pray for those who come to mind both those lost and Christians friends in need. Thank you God for opening the way so we can talk to you. Help us not to miss the opportunities each day to pray for the lost, pray for our brothers and sisters in Christ, confess our shortcomings, and praise You with our whole heart. Remind us that You are a great God and that You long to spend time with us. Amen. 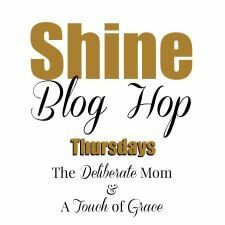 This post is part of the weekly link up at What Joy Is Mine and the Shine Blog Hop. Today we welcome author and speaker Suzie Eller to Sow & Gather. Suzie spoke to our Women’s Ministry one year ago on September 5-6, 2014. She graciously allowed us to use one of her devotionals from the 2014 conference here on the blog. So as a #TBT here are some timeless encouraging words from Suzie. I thrashed the covers in the small bed, punching my pillow, trying to ignore the green numbers on the clock that flashed 2:00 a.m. Recovering from a recent illness, I was exhausted. My laptop was evidently just as sick as I was, for when I booted it up, numbers and scrolling messages exploded on the screen. As the numbers flashed to 2:30 and then to 3:00, I wrestled with God. Lord, what is wrong with me? Father, how can you use a girl who’s wearing such a giant set of cranky pants? That’s when the scripture came to mind. Soft. Gentle. Like a whisper it played through my thoughts, filtering down to my heart: “The LORD your God is in your midst…” (Zephaniah 3:17 ESV). Right then. Right there. He was with me. “He will rejoice over you with gladness; he will quiet you by His love.” (Zephaniah 3:17 ESV). My spiraling feelings. My fatigued brain and body. He saw them all, and yet His gladness poured over me. He would quiet my whirling thoughts with His love. “He will exult over you with loud singing.” (Zephaniah 3:17 ESV). That’s when the tears came, because right there, even in my cranky pants, God saw me and was singing a majestic lullaby over His daughter. I curled up in the blanket, closed my eyes, and sleep finally came. Maybe today you’re wearing your cranky pants with a capital “C.” You’re out of sorts. You’re biting your tongue to keep harsh words away from those you love. You’re tired spiritually or emotionally, or maybe it’s been a long time since you’ve rested physically. He sees all of you. Not just the cranky pants, but your heart, and that you want nothing more than to be yourself again. My prayer is that you hear that lullaby gently playing. That you sense Him drawing you close. I pray that you’ll remember that we all have those days when we are out of sorts, or when everything seems to be going wrong. But most of all, I pray that you remember that our Heavenly Father doesn’t turn away from us in those moments, but brings peace to our troubled thoughts when we hold up them up with absolute honesty. That next day I woke up tired physically, but rested on the inside, and my cranky pants were nowhere in sight. I know they’ll pop up again. Life does that sometimes. But when it does, rather than hide from God, I’m going to run to Him instead . . . cranky pants, and all. God’s grace is needed on good and bad days, but it’s often sought only on those days when you feel worthy and approved. But whose approval are you looking for? Yours, or the One who knows you best? When you have your next cranky pants day, ask this question: Will I live today ACCUSED or will I be RESCUED by my Heavenly Father who promises to quiet me with His love? Dear Father, some days I stay away from You because I am ashamed of my feelings. Thank You that I can rest in Your grace as You pour out peace and quiet my thoughts with Your peace. In Jesus’ Name, Amen. Suzie is an International Proverbs 31 Ministries speaker and author, former radio co-host, and Bible Gateway blogger. She’s a woman who believes that our past shapes us, but does not limit us! 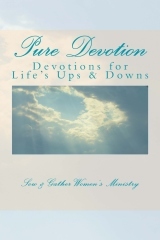 She is an author of articles, columns, and seven books including her most recent books: The Unburdened Heart: Finding the Freedom of Forgiveness and The Mended Heart: God’s Healing for Your Broken Places. Join Suzie and her sisterhood of brave girls on Thursdays as they celebrate #livefree. Most important, she’s a mom, wife, and “Gaga” to five beautiful babies. Suzie lives in NW Arkansas and when she’s not writing or speaking, she’s with her family, or hiking, or filling the kitchen with smells of her love language of cooking.